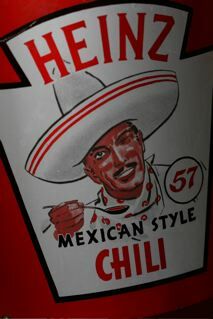 I love Mexican food, so I think that was the appeal for this collection. 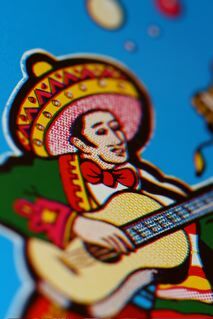 Nothing to specific – just lots of different items with a Mexican theme. 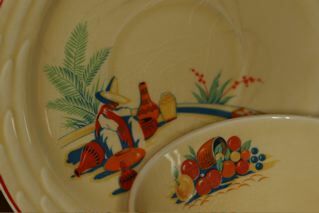 If you’re wanting to collect Mexicana, dishes, bowls and cups with the Homer Laughlin Mexicana pattern are a good start. 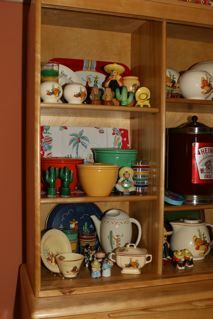 A little easier to find is the Homer Laughlin Hacienda pattern and is pretty reasonable for most of the pieces. 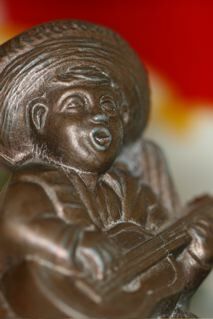 There are an endless amount of salt and pepper shakers with the stereotypical Mexican taking a siesta available. 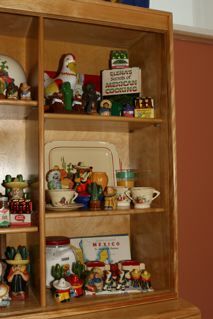 This type of collection can easily be expanded into glasses with Mexican colors, old tamales warmers, vintage kitchen towels and place mats, cook books and whatever else stuffs your burrito. Have fun and don’t be afraid to use some of your collection the next time you have taco night. 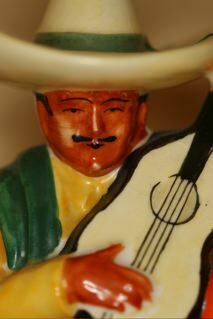 Nashua NH, La Carreta Mexican Restaurant (603) 891-0055 The grilled steak tacos are great. Other locations in Manchester and Derry NH. Naples Florida, La Bamba Mexican Restaurant (239) 793-2225 The mexican steak tacos and the pork enchiladas verde are unbelievable. There is also a second location in Naples and one in Estero at the outlet mall. NY City, Zona Rosa (212) 247-2800 Try the shrimp ceviche and anything else on the menu, it is all great. Manset Maine ( Southwest Harbor ) XYZ 207-244-5221 Seasonal, The seven chilies chili will knock your socks off and the beef short ribs are a must. This section of our blog is by no means an authoritative resource for serious collectors. 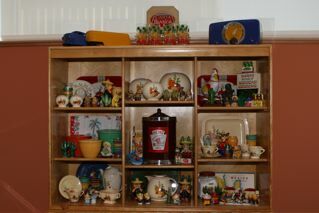 It is more of an introduction or suggestion to collecting and displaying items you may have never considered. I have all kinds of little collections around our Retro Planet offices. Bowling trophies, world globes, restaurant cups & saucers, Hall tea pots, soda fountain glasses and paper cups, just to name a few. I am not even sure how or why I started collecting a few of these things. Sometimes collections just happen. I was in an antiques store one day and the guy had about a dozen bowling trophies. 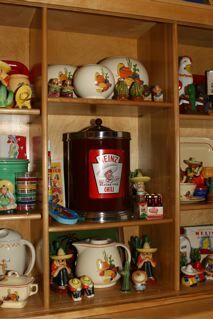 They where ’50s vintage, kitschy, in great shape and priced right so I bought most of them. Then I started looking on ebay and picking up trophies here and there and, before you know it, we have about forty on display in the Retro Planet gym. If you happen to be a collector of any of the items I write about and would like to contribute please respond to the blog with your tips and advice. Look for other collections coming soon.